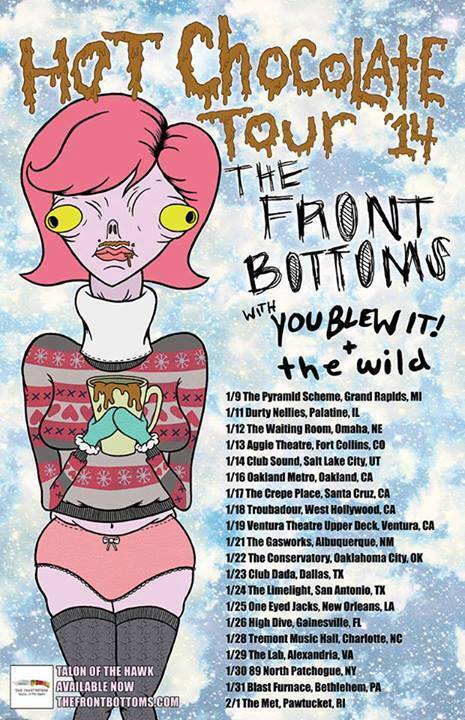 The Front Bottoms, an indie acoustic act from Jersey, will be playing the Blast Furnace Room at Artsquest on January 31st during a stop on their Hot Chocolate Tour 2014 with You Blew It! and The Wild. The band released their fourth studio album, Talon of the Hawk, in May and are currently on tour with O’Brother and Manchester Orchestra. The band will also be releasing a split with Manchester Orchestra in the future. Tickets are $12 and on sale now at Front Gate Tickets.